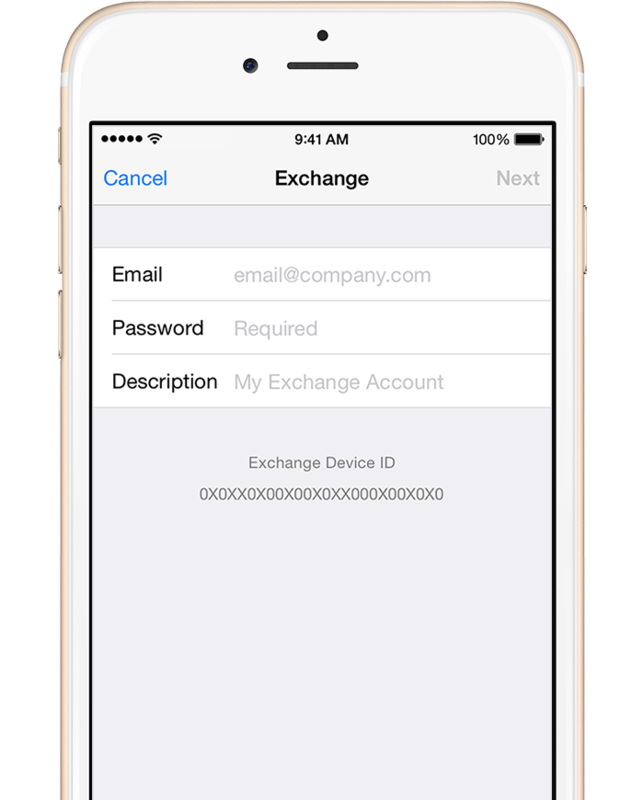 When you add your Exchange ActiveSync account, you can sync your Mail, Contacts, Calendars, Reminders, and Notes wirelessly with your iOS device. 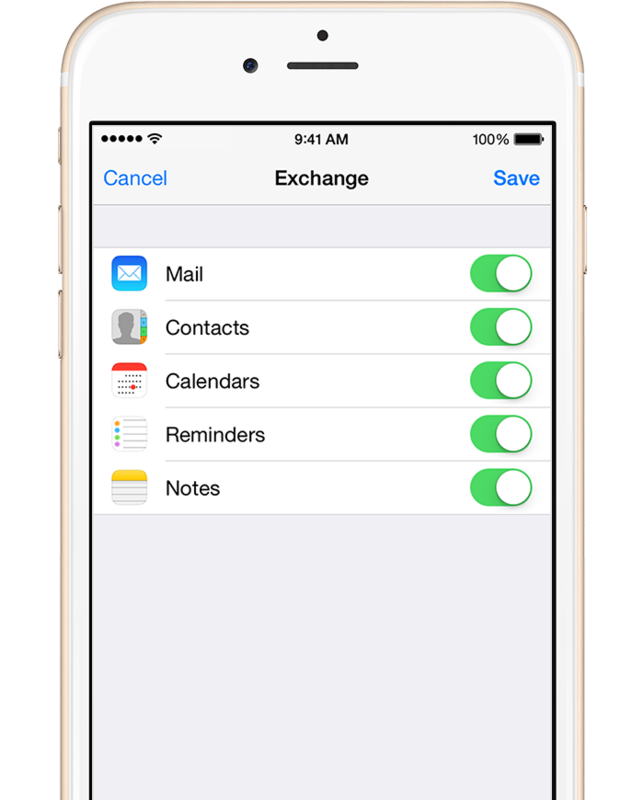 Tap Settings > Mail, Contacts, Calendars > Add Account > Exchange. 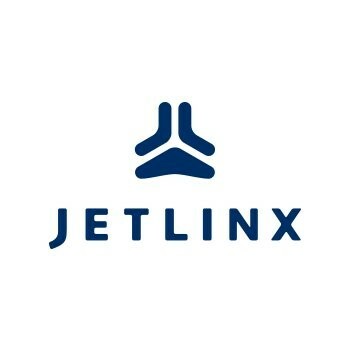 Enter your email address and password. If you want to, you can also enter an account description. 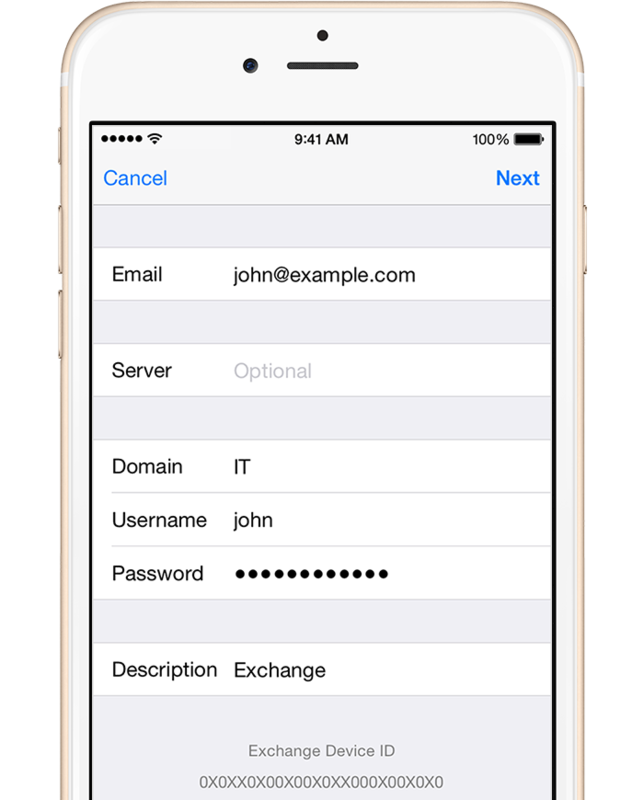 Your iOS device will try to find your Exchange Server. Server: outlook.office365.com Nothing for the Domain. You can sync Mail, Contacts, Calendars, Reminders, and Notes. When you're finished, tap Save.